Tomorrow is the Congenital Heart Walk, and we could not be more appreciative to all of you for contributing nearly $6,000 towards CHD research. Being able to make something positive out of Turner's condition has been really helpful. We continue to be amazed by his recovery & progress, and humbled by all the support from our family, friends, and coworkers. We are walking to raise money for the Children's Heart Foundation, which exists solely to fund promising CHD research. They fund $1M+ of research annually, which has had a direct impact on increasing survival rates over the past decade. Had I been born with Turner's condition, I would have had a near-0% chance of survival. Today, Turner has a 75%+ chance of making it to adulthood. CHD research is the reason we are hopeful for our son. If you have not had a chance to contribute, there's still time! Thank you to Roopal, Elizabeth, and everyone else who has contributed to our Congenital Heart Walk! Turner has had a great couple of weeks at home. We are so fortunate that he has recovered so well from his first surgery. We met many families at the hospital with similar conditions & treatment plans as Turner, and several had been at the hospital for months and were struggling greatly. So little is known about what causes congenital heart defects, and response to treatment is unpredictable. We are counting our blessings that Turner is doing as well as he is. 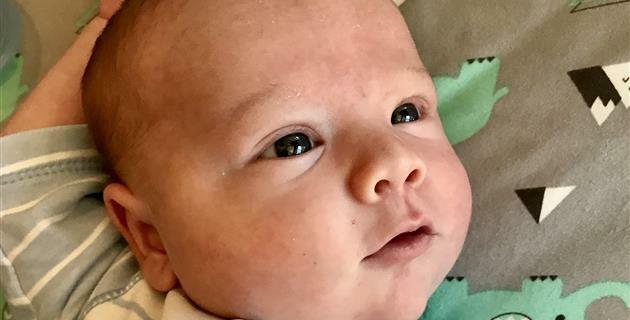 The Congenital Heart Walk is less than two weeks away, and we are asking that anyone who hasn't had a chance to donate, take a couple minutes and do that today. Funding for research is the only way we can help those children and families affected by CHDs, and research is incredibly under-funded in relation to the prevalence of CHDs. Please help us raise as much money for the Children's Heart Foundation, which grants $1M+ each year to promising CHD research. Thank you all for your support, kind words, donations, meals, and thoughts and prayers. We love you all! Little Man turned 5 weeks yesterday! 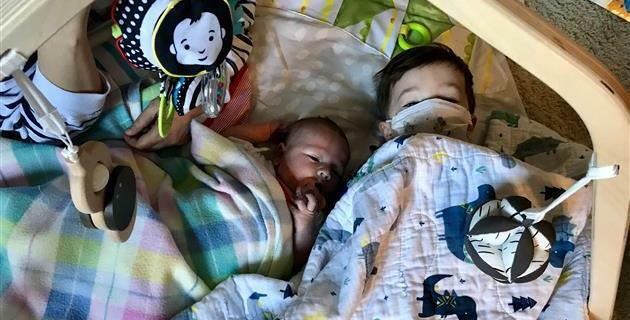 We enjoyed an uneventful week at home last week, complete with a (scheduled) echocardiogram, which showed Turner's heart responding well to the temporary shunt that was placed a month ago. We are so thankful for his recovery and for all of the support that so many of you are showing with meals, gift cards, and Heart Walk donations! We appreciate you all so much, and you have made things so much easier for us. We are at $5,600+ with three weeks until the Dallas Congenital Heart Walk. A huge thank you to everyone who helped us surge past $5,000 - Daniel & Beth, Phil, Marcel, Laura, Alana, Brooke, Leslee, Mary Anne, John & Marianne, and Andrew. You guys rock! For the first time in history, there are more adults living with CHDs than children. That’s the result of diligent efforts across the board to improve survival rates and quality of life, and funding for CHD research is a critical component. The Congenital Heart Walk benefits the Children's Heart Foundation, which exists to fund the most promising research to advance the diagnosis, treatment, and prevention of CHDs. If you have not had a chance to donate to our Heart Walk, please consider doing so. Thanks! We made it home! Then we had to turn around two days later and go back to the hospital for a few nights to treat an infection. BUT...we’re now all at home and finally settling in to our new routine! Turner is doing great - eating a ton and generally being a cute baby. 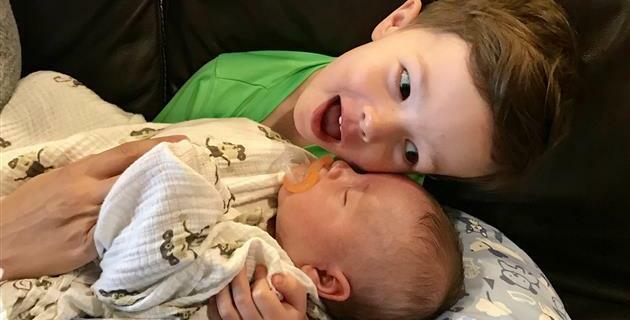 Sterling is excelling in his role of Big Brother - the first thing he wants to do in the morning is “pet Baby Brother”. And Nancy and I are figuring out how best to wrangle two little boys. We are working towards our new goal of raising $5,000 for congenital heart defect research! With a month left, we only need about $600 to make it. Thank you to Tamera and everyone else who has donated so far! It really means a lot to Nancy and me to try and make something positive happen out of this situation. CHDs are the #1 most common birth defect, by an incredibly wide margin. And CHDs are the #1 most common cause of infant death due to birth defects. But funding for research into causes, prevention, and treatment is woefully low. 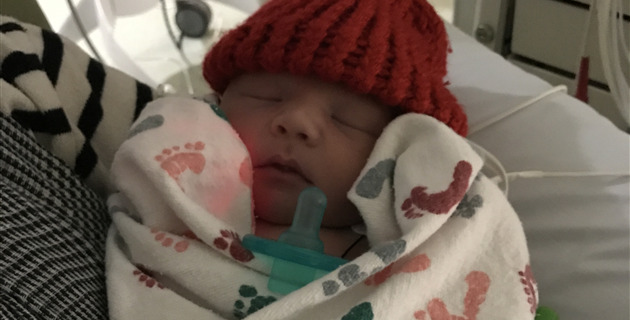 If you haven’t had a chance to donate yet, please consider doing so, and help us improve the lives of heart babies and their families in the future. Thanks! We are close to coming home! 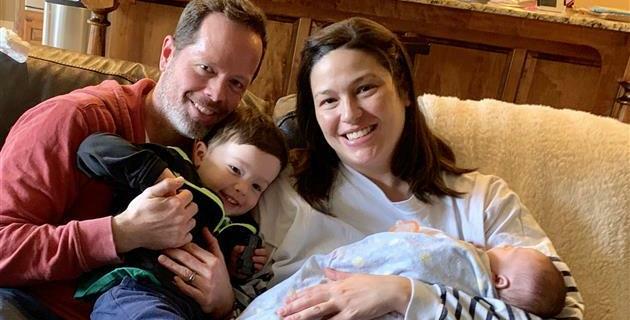 Turner is ahead of schedule with his recovery from open-heart surgery, and he is knocking out his milestones left and right! If all goes well, we’ll be home by the weekend! On the Congenital Heart Walk front, you all have blown past $4,000, and we are now shooting for $5,000 by April 13! A huge thank you to Dan & Debra, Nate, Chris & Nicole, Julie, Linda, Albert, Diana, and Marian. Thank you! Thank you! Thank you! Less than 40 years ago, Turner’s CHD (hypoplatic left heart syndrome) literally had a 0% 1-year survival rate. Today, HLHS babies have an 80%+ chance of making to adulthood. Research into CHD causes, prevention, and treatment is the reason Turner’s prognosis is so good. All of the funds we are raising will go to the Children’s Heart Foundation, which funds $1M+ of CHD research annually. Please consider donating to our Heart Walk to help CHD babies and their families in the future! I’m running out of superlatives here! 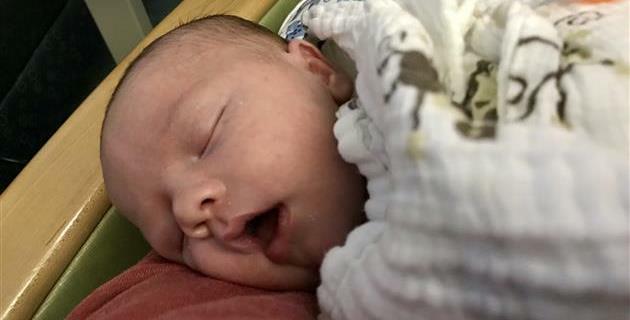 It’s been a wild week with Baby Turner... First, Turner is doing amazing. His surgery on Friday went well, and his recovery has been equally smooth. He’s already having tubes and respirators and other things removed, and we are now focused on his eating and making sure he is gaining weight. 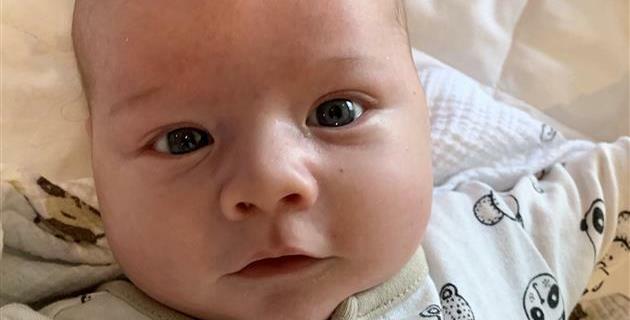 He’s certainly living up to his namesake (Nancy’s maiden name is Turner, and if you’ve met her, you know she is one of the most driven and competitive people around). Second, with your help, we are soooo close to hitting our (increased) goal of raising $4,000 for congenital heart defect research. A huge thank you to Lee, Brett & Becky, Louise, Belinda, Barbara, David & Vivian, Dana, Marianne, Lori, Amy, Tom, Marilyn, Melanie, Brian & Courtney, and Joe. Your support has meant so much to Nancy and me! CHDs are the most common birth defect, affecting nearly 1 in 100 babies. 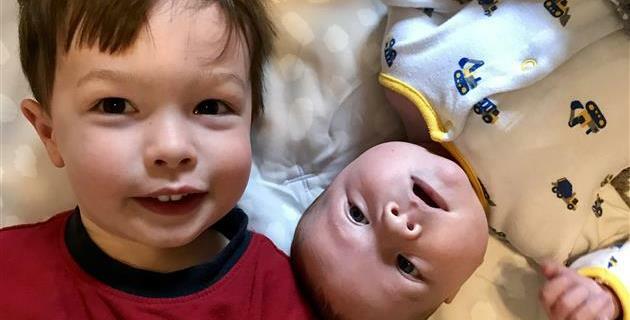 About 25% of babies with CHDs (including Turner) need one or more surgeries to survive. Despite its prevalence, funding into CHD causes, prevention, and treatment are tragically low. We are participating in the Congenital Heart Walk in April to raise money for the Children’s Heart Foundation, which grants over $1M each year to promising CHD research. Please help us reach (and blow by) our goal so heart kids and their families in the future won’t have to face the same challenges we have to face today! What a week! Turner was ready to say hello, and was born on Sunday, February 17th! He and Nancy are doing great - he is sleeping, eating, and pooping like a healthy baby, and at 7 lbs 15 oz, he has a great start. 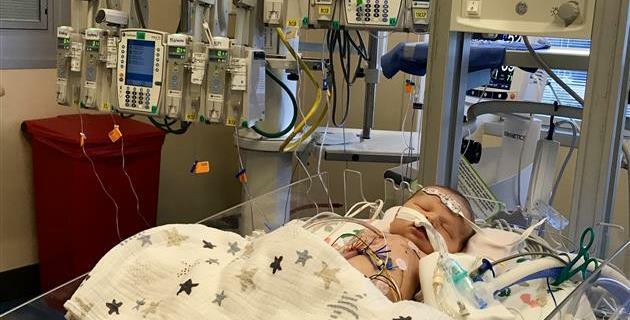 He went through a battery of tests that first day, which all confirmed his congenital heart defect diagnosis and the treatment plans, including his first open-heart surgery this week. We are spending as much time as possible with him, and getting our cuddles in while we can! AND...you all have helped us blow past our $2,500 Congenital Heart Walk goal! So we're going to bump it up to $4,000 and see how much we can raise for CHD research! A huge thank you to Doug and Rachel, Suzanne, Holly, Troy and Amy, Laura, John and Marianne, and Kris and Maria. You guys are awesome! If you haven't had a chance yet, please consider donating to our heart walk so the Children's Heart Foundation can continue to fund research to make life-saving medical advancements possible so that all children born with CHDs get the chance to live long, healthy lives! We are blown away by everyone's generosity! We are already 80% of the way to our goal of raising $2,500 for the Children's Heart Fund! A huge thank you to Mary, Heather, Peggy, Yvonne, Matt & Nilsa, Samuel, Martha, Colleen, Pat, Brian, and Curtis! You guys are awesome! On April 13th, we will be participating in the Congenital Heart Walk, in honor of our soon-to-be heart warrior, Turner. 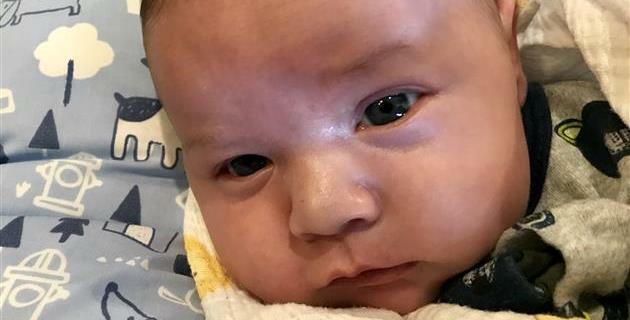 He's expected to make an appearance in the next week, and will require at least three major surgeries to survive his critical CHD. Please consider donating to our heart walk so the Children's Heart Foundation can continue to fund research to make life-saving medical advancements possible so that all children born with CHDs get the chance to live long, healthy lives! Wow! We're already 1/3 of the way to our goal of raising $2,500 for congenital heart defect research funding! We are blown away by the support you guys are showing! Thank you to our family, friends, and coworkers for your generosity - Ramak, Suzie, Eileen, Laurie, E-E-ming, and Bea. Thank you so much! On April 13th, we will be participating in the Congenital Heart Walk, in honor of our soon-to-be heart warrior, Turner. 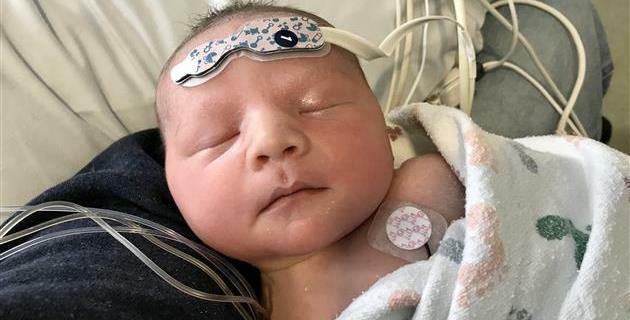 He's expected to make an appearance in the next couple of weeks, and will require at least three major surgeries to survive his critical CHD. February is #HeartMonth - please consider donating to Team Turner. 1 in 100 babies will have a CHD, but we know almost nothing about what causes them and how to prevent them. This is unacceptable for such a prevalent condition. Please help any way you can!